We will only use the information you provided to respond to your enquiry and will never disclose, sell, trade or rent your personal information to an outside third party. We automatically collect information about your visit to our site. This information is used to make your visit to our website more efficient and us to make regular improvements. Our external web host may also automatically log your IP address, a unique identifier for your computer or other access device. If you have any queries concerning your personal information or any questions on the use of the information, please contact us. 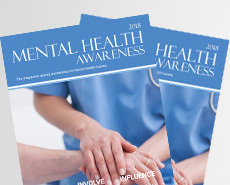 WHY SHOULD YOU ADVERTISE WITH MENTAL HEALTH AWARENESS PUBLICATIONS?